Sized Infant (7 - 18 lbs.) & 6 - 12 months (15 - 22 lbs.) Included. 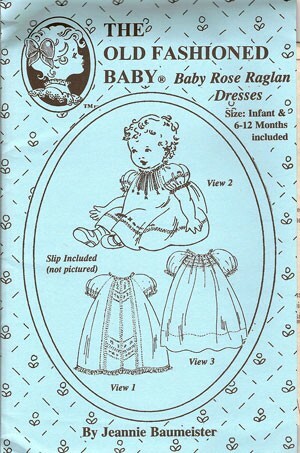 This is the sweetest baby dress pattern ever! Three special versions are included, some embellished w/a center front lace insertion & embroidery, a view w/tucks & lace insertion at the yoke, or a simple design featuring featherstitching & seed stitch. Baby slip is included.